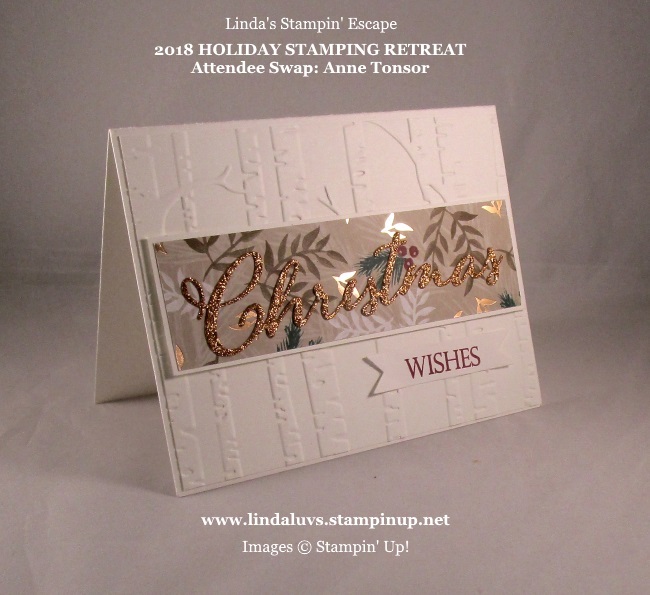 Simply Sunday: Guest Stamper Anne T.
Today I have a beautiful card to share with you that was made by one of my Holiday Retreat attendees for our annual Attendee Swap!! This magical card was made by Anne Tonsor … We begin with the background which was created using the Woodland Textured Impressions Embossing Folder. 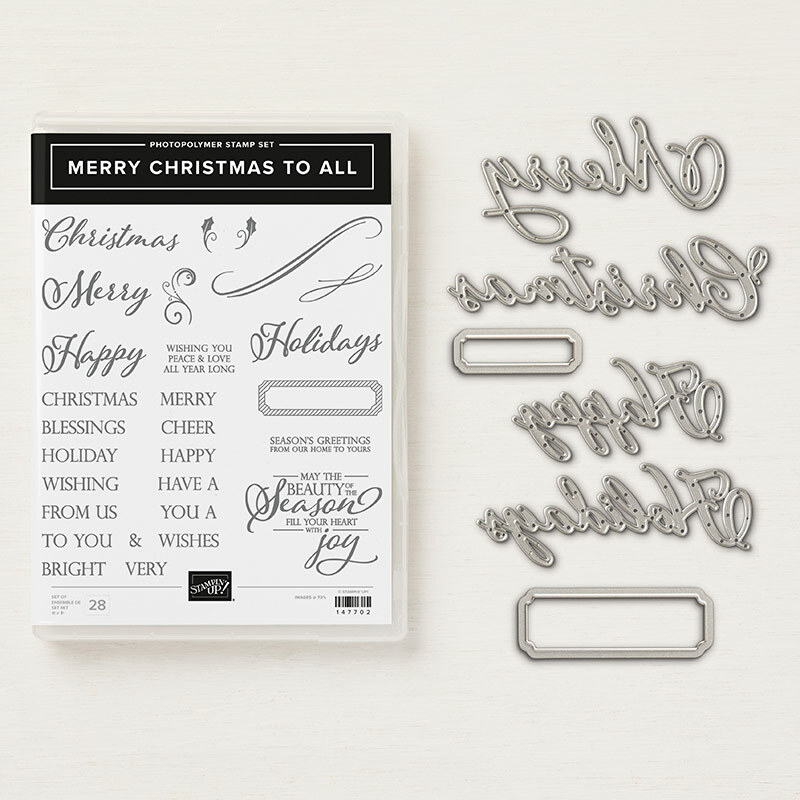 The Christmas was cut from the beautiful Gold Shimmer paper and comes from the Merry Christmas To All Photopolymer Bundle as does the stamped “wishes”. Bundle and save! Buy these two coordinating products and save 10%. Thank You Bernice for sharing your thoughts, and I agree with you, she made a beautiful card.